ITS Helps Rebuild Local Home for Family in Need , to participate in their Neighborhood Revitalization Project. Last month, ITS volunteers traveled to the Norristown section of Montgomery County where they spent 4 days helping rebuild and restore 27 Chestnut Street, an old, deteriorated property within the neighborhood’s revitalization zone. The ITS team put in hard, labor-intensive work consisting of removing old wired fencing, heavy rocks and metals from the yard, leveling out the grounds and building a fence for the property, and painting the inside of the house. The homeowner is a single father of three and Navy veteran who grew up in this neighborhood where much of his family still resides. He was selected for this home in part because of his local roots and so he can spend more time with his family, providing a solid support system for the children. The home is scheduled to be completed on June 19th and a ribbon cutting ceremony will be held for the family to hand off the keys and properly welcome them into their new home. To see photos of the ITS team in action visit the IT Solutions Facebook page. For more information about Habitat for Humanity Montgomery County and how you can get involved visit www.habitatmontco.org. 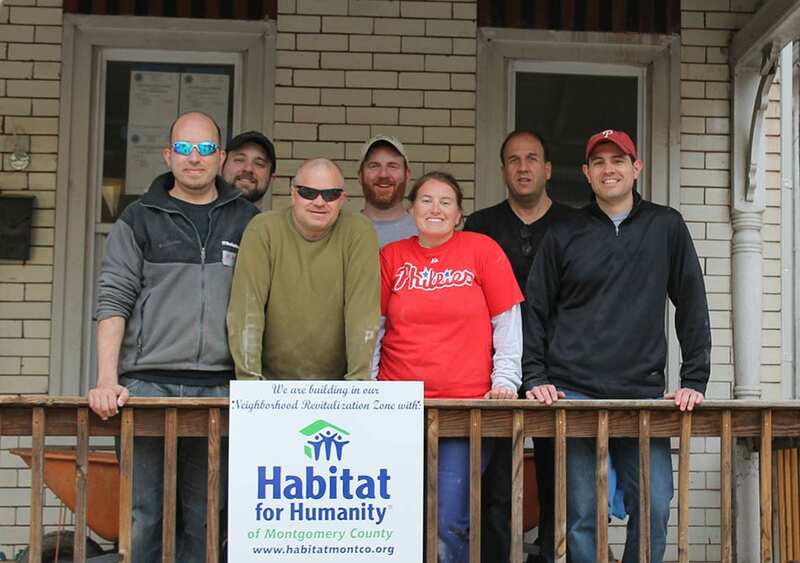 As part of our corporate community service efforts, for the past several years IT Solutions teamed up with Habitat for Humanity of Montgomery County (HFHMC), to participate in their Neighborhood Revitalization Project.